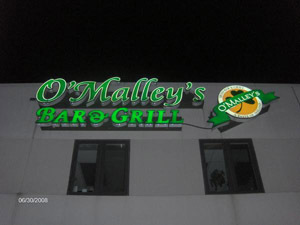 O'Malley's Bar & Grill is a welcoming local Irish pub and restaurant. They have a friendly staff and a crowd that usually consists of the neighborhood regulars. They have pretty good food in their kitchen and you can usually get the fish fry on Friday nights.